► NIGERIA: Jimoh Ibrahim says Air Nigeria will resume ops but only under new ownership. Air Nigeria (VK) could make a return to the skies, albeit under new ownership and management, the current CEO of the airline, Mr Jimoh Ibrahim, has stated. Speaking on the tenth anniversary of the founding of his group of companies, Global Fleet, Mr Ibrahim said his board of directors would meet over the coming week to discuss the future of the airline, which ceased operations in September 2012. ► NIGERIA: Azman Airlines, JedAir looking to start domestic, regional ops in H1. Two carriers are looking to start domestic operations in Nigeria shortly: Azman Airlines and Jedair, a former charter airline that has reportedly entered into an ACMI deal with a Canadian firm. ►► CAMEROON: Arik Air to start Lagos - Douala from late August. [UPDATE 23 NOVEMBER 2012] Nigerian private carrier Arik Air (W3), is to launch a 3x weekly (Tuesday, Thursday and Saturday) service between Lagos, Nigeria and Douala, Cameroon using a Boeing 737-700, starting Thursday 30 August 2012. ► NIGERIA: Air Nigeria calls it quits as Dana Air's licence is reinstated. On a day of two contrasting fortunes, Jimoh Ibrahim's troubled venture Air Nigeria (VK), having teetered on the brink of collapse for some time, is to call it quits from 10 September 2012 following months of uncertainty in which leased aircraft were ceased, company directors arrested and allegations of safety oversights and tax evasion. In a statement, the company's management blamed the suspension of operations on "staff disloyalty and a weak business environment" though remained resolute in the possibility of returning to viability next year by retaining 50 "loyal" members of staff from various departments, selected with a mandate to recommence operations within 12 months. All other employees however, had been laid off effective from their last day of work on their various routes. ► NIGERIA: Air Nigeria future in doubt as GECAS repos its 737s. Global aircraft lessors General Electric Capital Aviation Services, better known in the aviation industry as GECAS, have dealt yet another blow to ailing Nigerian carrier, Air Nigeria (VK) by repossessing the four Boeing 737-300s (5N-VNC, 5N-VND, 5N-VNE and 5N-VNJ) it leased to the airline, over the latter's inability to settle its monthly financial obligations. "Subsequent to the temporary suspension of Air Nigeria’s regional and domestic flight operations by the Nigerian Civil Aviation Authority (NCAA), our lessors have been requesting to repossess some of the aircraft in our fleet and we are fully cooperating to return their aircraft. GECAS, one of our lessors, is already in the process of calling back four of their Boeing 737-300 aircraft and Air Nigeria is fully cooperating in line with the Cape Town Convention to expedite the repossession process. Air Nigeria plans to acquire state-of-the-art aircraft to fill the reduction in capacity and is currently finalizing plans to resume normal flight operations across the regional and domestic routes as soon as possible. We would also like to inform that the scheduled Lagos – London – Lagos flight operation is not affected by the temporary suspension directive of the NCAA and passengers are therefore encouraged to proceed with their confirmed itinerary while intending customers can make their reservations." Despite Air Nigeria's claims that its international operation to London Gatwick has been unaffected, it has, however, been forced to indefinitely postpone the start of its vaunted Lagos-Johannesburg route, after it emerged that the embattled airline has been having "difficulty in honouring its agreement with EgyptAir, lessor of Air Nigeria's current A330-200; a second Airbus A330-200 needed to start Johannesburg (SU-GCJ) is still parked at Cairo." Air Nigeria has persistently denied rumours of financial irregularities and difficulties at the airline, though recent events in the last month or so have not done anything to quell rampant speculation that the carrier is about to tank: a run-in with the Nigerian Federal Inland Revenue Service over unpaid back taxes, and a suspension of regional and domestic services by the Nigerian Civil Aviation Authority over safety concerns following a major strike by Air Nigeria pilots and engineers over those very concerns and others. So, how much longer is Jimoh Ibrahim's venture going to last with all this turmoil and uncertainty? Or will we be forced to write an obituary in the weeks (or days) to come..
► NIGERIA: FirstNation flights suspended 'til July; Air Nigeria grounded by NCAA again. The local civil aviation scene in Nigeria continues to undergo a severe shake up as a consequence of the Dana Air Flight 9J-997 tragedy. ► NIGERIA: Air Nigeria gets a nasty visit from Mr Tax Man. In the ongoing saga that is Air Nigeria (VK) - having first been grounded by a strike, then a public slinging match with an ex manager over air safety and financial indebtedness, then by an investigation into its airworthiness - has now had its Managing Director, Kinfe Kahssay, arrested over failure by the airline to remit USD$31.4million (NgN4,87billion) in taxes to the Federal Internal Revenue Services (FIRS), Nigeria's tax man. "The arrest is aimed at recovering arrears of taxes accruing to government from Withholding Tax (WHT) and Value Added Tax (VAT). The enforcement is part of a bigger move to recover the N170. I Billion (N170'132'089'411.46) outstanding taxes owed to government by public and private organisations as well as ensure that all taxpayers are captured in the tax net." Armed police raided Air Nigeria's offices on Monday morning and took Kahssay away for interrogation, where, it is alleged he "agreed that Air Nigeria had tax liabilities but pleaded for more time to clear the bills." However, Air Nigeria in a press release on its website moved to distance itself from the debacle claiming that the taxes in question, in actuality, dated back to the day's of Richard Branson's Virgin Nigeria Airlines and were still to be settled with the Nigerian Government and questioned as to why the FIRS had "spent the past 8 years doing nothing". "The Federal Inland Revenue Service (FIRS) stormed Air Nigeria office on Monday, 18 June 2012, with mobile policemen armed with guns to demand for past taxes allegedly owed during the period when Mr. Richard Branson of Virgin Atlantic was running Virgin Nigeria, now Air Nigeria. These taxes have been in dispute and needed to be reconciled and agreed upon." The airline then goes on to allege that the last 2 incidents (see the opening paragraph) have been part of a greater conspiracy to see the airline fail. "We suspect that one other line of action will be coming in the coming week to further attempt to damage us in the public eye; but we assure the instigator of such uncivilized approach that Air Nigeria will not compromise its corporate values and development strategy. " ► NIGERIA: Air Nigeria grounded for safety checks; 787 deal likely a farce. If its not strikes grounding Air Nigeria (VK), then its likely government departments acting too little, too late in the interests of public safety. Ten days after Dana Air flight 9J-992's tragic crash whilst on approach into Lagos' Murtala Muhammed International Airport in which 153 people perished, Harold Demuren, the Director-General of Nigeria’s Civil Aviation Authority (NCAA) himself under heavy pressure since June 3, ordered grounded, the country's second largest carrier so as to carry out a safety audit. "It is a routine action to enable us look at the airline’s operations before allowing it to go back to operations again, having been on strike for days. This is normal." quoted NCAA spokesman Sam Adurogboye. Air Nigeria boss Jimoh Ibrahim swiftly moved to deny that his airline had been grounded insisting instead, that his airline had willingly ceased operations of its own volition, and not, as reported, under duress. “We are not grounded by anybody, but we decided not to fly today because we just felt that we should reorganize and create particular awareness because we’re coming out of (a) strike,” Ibrahim said. He said flights should resume Thursday. The whole debacle started, it seems, with the National Association of Aircraft Pilots and Engineers (NAAPE) strike of 1 June where one of the grievances was that management had not availed enough money to the Engineers to allow them to maintain the aircraft adequately. On ending the week-long strike, NAAPE President Isaac Balami rescinded that claim, and restated that in actuality, the strike had only been about "social benefits". Then, following the Dana Air crash, John I. Nnorom, a former Executive Director for Finance at Air Nigeria who resigned his appointment with the airline on April 1, 2012, published a stinging article in the Nigerian press, condemning Air Nigeria's safety record, and imploring people not to fly the airline for safety reasons. 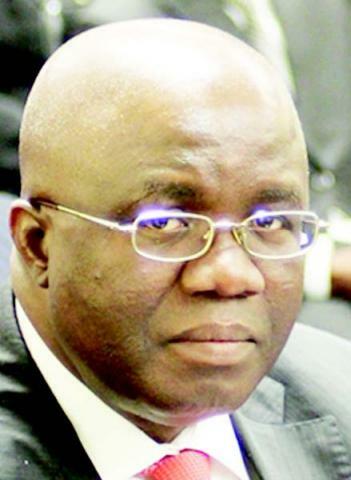 "He (Nnorom) disclosed that Air Nigeria is in financial crisis because money loaned by Bank of Industry of N35.5Billion has been diverted into Mr. Ibrahim’s NICON INVESTMENT LTD, a non-finance company popularly called wonder bank, leading to air safety being compromised, and stressed that there is a great possibility of a disastrous Air Nigeria crash, which can occur at any time. He recalled that in Jan 2012, Licensed Engineers in Air Nigeria went on strike because they were being forced to certify unfit aircraft into the air, and another strike was averted in March 2012 following the intervention of the DG-NCAA, Demureen. Both events, he said, were based on failure on Failure To Meet Safety Standard, and are verifiable information the public is aware of." Naturally, Air Nigeria moved to rebuff Nnorom's claims by labelling him an "illiterate in the maintenance of aircraft and a criminal". So, could there be an element of truth in Nnorom's claims? Or is he simply a butthurt ex-employee out to smear his former employers? ► NIGERIA: Air Nigeria again postpones Johannesburg service. 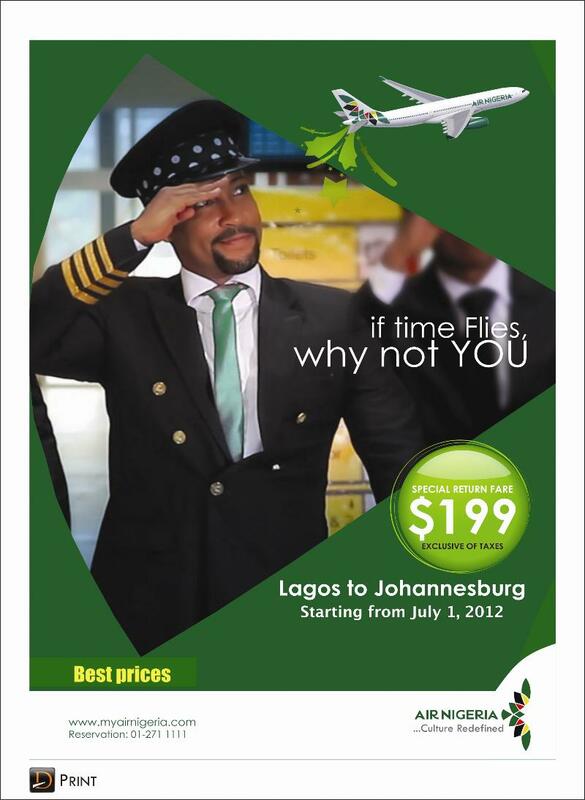 Nigerian carrier Air Nigeria (VK), has again put back the date of its intended Lagos - Johannesburg, South Africa service, this time 'til 1 July 2012. Initially, the service had been slated to start on 16 May, that date was then delayed until 17 June, before finally being put back to July 1. Whether this new delay has anything to do with the only recently ended Pilots & Engineers Union NAAPE strike, which took its toll on the airline punctuality-wise, is uncertain. ► NIGERIA: Pilot & Engineer Strike affecting Air Nigeria. 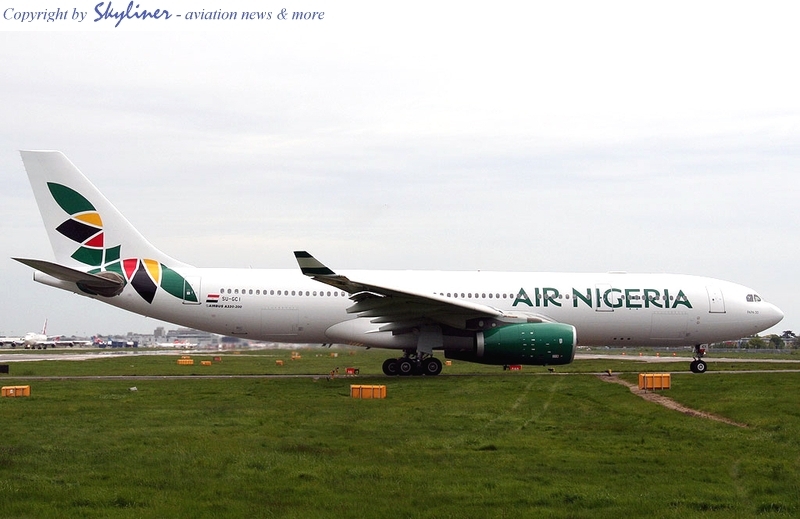 Air Nigeria (VK) has come clean and admitted that a 5 day old strike by members of the Nigerian Association of Aircraft Pilots and Engineers (NAAPE) is starting to impact its domestic and regional flights, though its international operation to London Gatwick has remained unaffected. 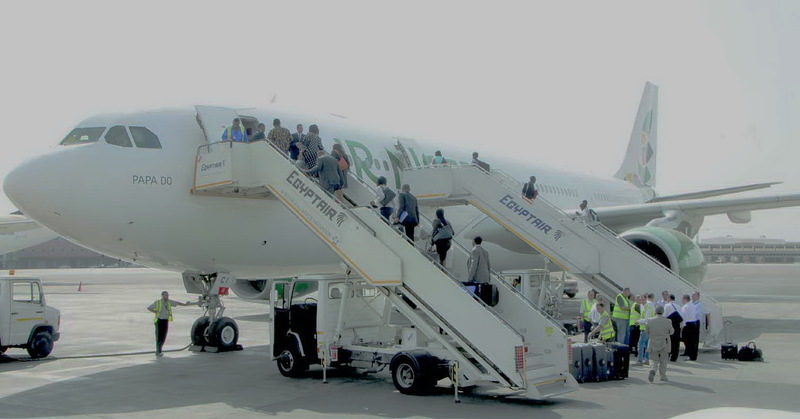 Air Nigeria management however, has refused to budge from its own position and in a statement has labelled the strike as "blackmail" and "uncalled for" and claimed that the union did not seek recourse in order to resolve their grievances. It also alleged that the NAAPE was in cahoots with competitors jealous of Air Nigeria's progress. "It is very unreasonable and cheap blackmail for NAAPE to embark on strike action based on non payment of May salaries at the mid night of May 31st when infact some of the staff had collected their salaries with the rest of the staff still being processed. 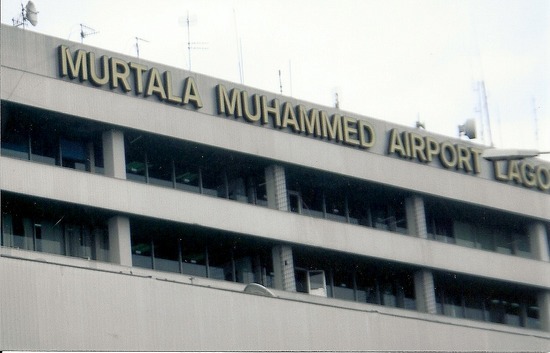 Passengers at Lagos' Murtala Muhammad International Airport have been subject to delays and flight cancellations which has led to angry scenes at check-in counters and ticket booths. The NAAPE has been a perpetual thorn in the side of Air Nigeria's management, as in November of last year, they again moved to strike following the sacking of Air Nigeria's Head of Maintenance Department James Erigba, because of a disagreement over an aircraft's airworthiness. ► NIGERIA: Air Nigeria gets its two A330s; to get four 787s? After having postponed the start of Lagos-Johannesburg by one month, Nigerian national carrier Air Nigeria (VK), today finally took delivery of two wet leased EgyptAir A330s from Cairo. In other Air Nigeria related news, following in the footsteps of local competitor Arik Air, who in 2007 placed an order for 7 Boeing 787s, Air Nigeria has placed an order for 4 of the Dreamliners, to be used between Lagos-London, and ultimately, Lagos-Baltimore and Lagos-Dubai-Beijing, though this has yet to be confirmed by Boeing. Nigerian press reports state that the deal, worth nearly USD$900million, is to be financed by the USEXIM bank. "THISDAY checks revealed that each of the aircraft will cost the airline $221,775,000, totalling $887,100,000 which will be financed by the USEXIM Bank. According to the chairman of Air Nigeria, Mr. Jimoh Ibrahim, who confirmed the aircraft orders, as initial deposit, the airline will be required to sign and pay four per cent of the total cost of the aircraft amounting to $35,484,000 by May 22 in London. On delivery, he said the aircraft will fly the Lagos-London, Lagos-Baltimore and Lagos-Dubai-Beijing routes, while one plane will be kept in reserve. If everything goes according to plan, Air Nigeria will be the first West African airline to have the Dreamliner aircraft in its fleet. Ethiopian Airways has already placed orders for the Dreamliner aircraft, but delivery date is set for 2016." ► NIGERIA: Air Nigeria postpones Johannesburg to 17 June 2012. Having been previously scheduled to start on May 17, Air Nigeria (VK) have announced the postponement of their Lagos - Johannesburg route to 17 June 2012.